These iPhone Breaks Keep Breaking My Heart ? For Kim, this is her third time breaking her iPhone 6S screen in Dubai. Each time she has dropped her iPhone 6S only to pick it up with a broken screen has broken her heart. It is a devastating experience dropping and cracking the screen on your iPhone. Friends have done it. Family members have done it. Coworkers have done it. Yet, when you are the victim of a fallen iPhone, it tends to sting a lot harder. Kim gave us a call the other day in tears. After reaching in her purse to retrieve her iPhone when she heard it ringing, the edge of the phone must have caught one of the corners of her purse and caused her to drop the phone down to the concrete ground. 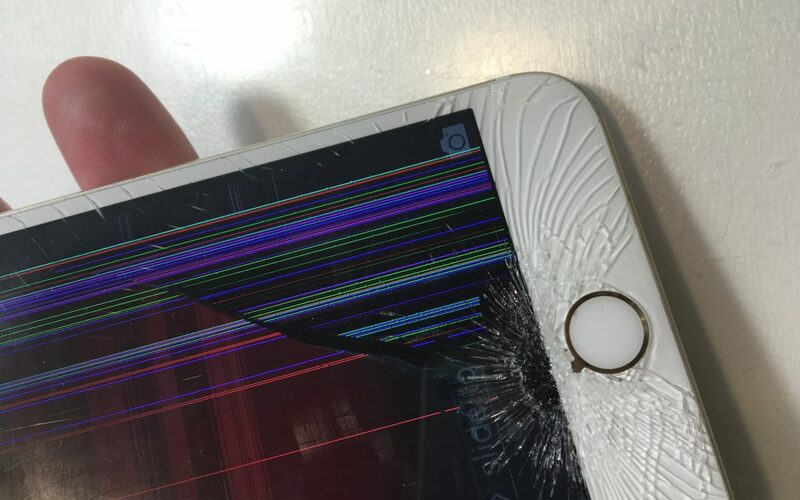 Over a meter in the air when she lost a handle on it, the iPhone 6S garnered enough speed to send ripples through the glass screen, shattering everything in its path. The result you can see in the picture. There are several cracks close to the home button. The back screen was completely damaged. She could no longer see anything or use the phone at all. She had broken both screens on her iPhone 6S and didn’t know what to do with herself. She made it up without too much trouble and was lucky enough to have a working laptop on her desk. She quickly began looking for cell phone repair services in Dubai and Abu Dhabi that could repair her broken iPhone and her broken heart. Within minutes, she had us on the phone and scheduling an appointment with her for later in the day. We met with Kim and fixed the broken screen on her iPhone 6S. She was relieved and is on her way to a full recovery, hoping never to drop her screen again.